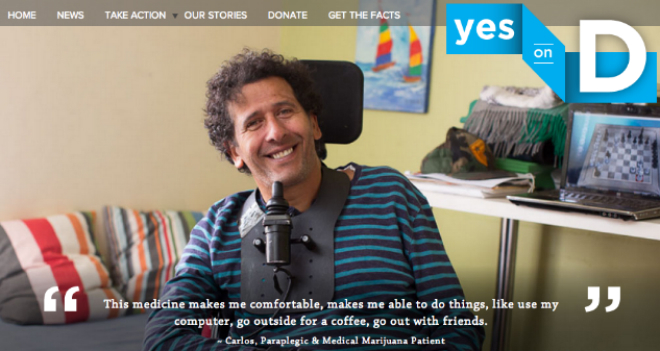 Our latest project to go live is Yes on D LA, a ballot measure to regulate medical marijuana dispensaries in Los Angeles. Proposition D will implement responsible operation of medical marijuana dispensaries, maintaining access to medicine for permitted patients, an end to the proliferation of illegal dispensaries, and enabling regulation to keep our neighborhoods safe. The project is being led by the Yes on D, Citizens’ Coalition to Protect Patients & Neighborhoods, sponsored by United Food & Commercial Workers Local 770, Patients, Greater Los Angeles Collective Alliance & Americans for Safe Access.